It’s no secret that Johnnie Walker has seen a legacy that has spanned decades. This year, six exceptionally rare whiskies — each aged for a minimum of 50 years — have come together for the first time to create The John Walker Masters’ Edition, a blend that perfectly encapsulates the unrivalled prestige and rich provenance of the brand. Having existed during founder John Walker’slifetime, five of the six ancient distilleries that were hand-selected by Master Blender Jim Beveridge have now ceased operations to become ghost distilleries, making their inclusion all the more noteworthy and valuable. The special edition sees single malt whiskies drawn from some of the oldest available stocks from the revered Glen Albyn and Glenury Royal distilleries — which now lie silent — and the prominent Blair Athol distillery, one of the oldest working distilleries in Scotland today. These are blended with three other grain whiskies from Caledonian, Cambus and Port Dundas, all of which are equally exceptional in their rarity due to their closure as working distilleries. “About 20 years ago, Johnnie Walker blenders recognised that these individual whiskies were very special and the decision was made to put them aside for special use, allowing each of them to continue to mature in their casks, knowing that, in time, something even more remarkable would emerge. Our goal was to pay tribute to the whisky masters who worked with these whiskies such a long time ago and, with the creation of The Masters’ Edition, I believe we’ve done that,” said Beveridge. Half a century in the making, the triple-matured Scotch whisky is carefully finished in small batches. The bespoke casks— made of 100 year oak staves — marry the precious liquids to perfection and bring out their diverse layers of flavour. Here, luscious notes of blackcurrants and citrus are revealed on the palate before giving way to a rich aroma of creamy dark chocolate. 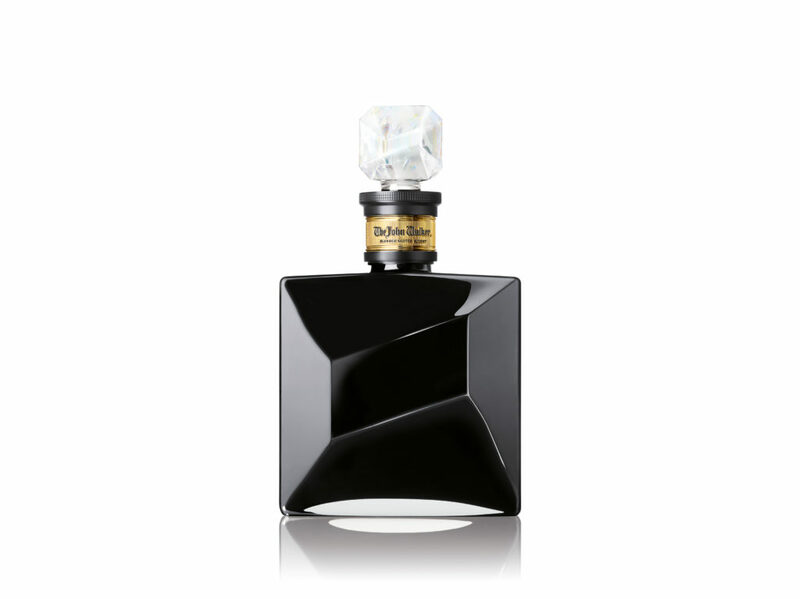 The indulgence culminates gently as cooling menthol and a subtle smokiness take over for a long, warming finish. 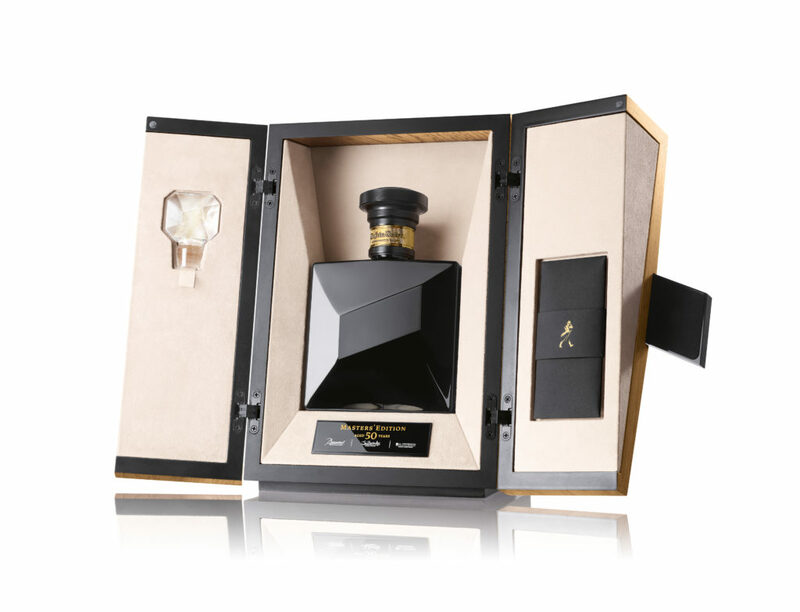 Due to the rarity of the irreplaceable whiskies in The John Walker Masters’ Edition, only 100 bottles of this holy grail Scotch whisky will be produced. This special release will be presented in a double-cased black crystal Baccarat decanter — each bespoke and individually numbered — and encased in a cabinet made by the renowned N.E.J. Stevenson, Cabinet Makers by Appointment to Her Majesty The Queen.